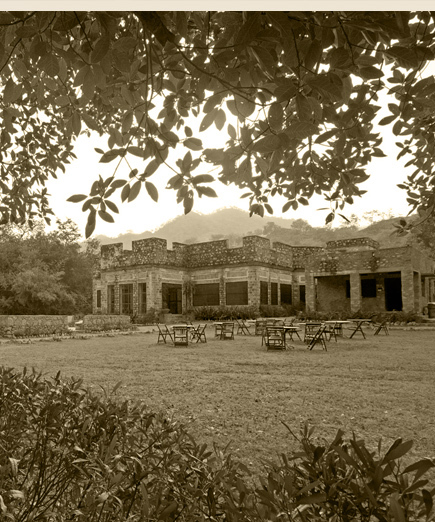 Today we drive to Bagho Ka Bagh…after arrival check-in to our Hotel Bagho-Ka-Bagh.This hotel was A hunting Lodge of the erstwhile nobles of this area. Lunch at the Hotel. After lunch you can relax for a while, maybe read a book or write your travel journal or just take a nap either in your rooms or The Hammock. After a little layoff, we take a stroll in the nearby Garasiya Tribal Hamlets( another group of tribals) where we have our evening tea & cookies at a carefully chosen spot. Dinner & Overnight at Hotel. We start our first trek from Ghanerao after an early breakfast .its an uphill trek which passes through a good forest cover, if lucky enough we might spot some antelopes & wild boars (hogs)…we can also see some deer in a protected enclosure. But we are sure to spot a good variety of various bird species. We stop at a small water reservoir famously called The Crocodile Lake or Thandi Beri in local language. As the name suggests, we try & get lucky to spot a couple of crocodiles sunbathing on the reservoir wall. We will also pass through the lone Tribal Village in the sanctuary area (it’s a village of The Bhil Tribe)..
Hotel . Dinner & overnight at hotel. We start our trek after an early breakfast at about 7 a.m. we will start the trek from a point called foota deval. We will pass through the forest & reach a very famous temple dedicated to Lord Shiva called Parshuram Mahadev. 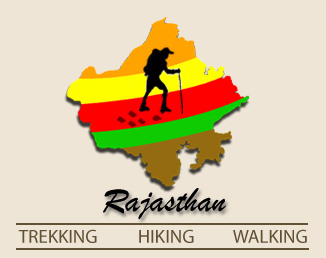 The Trek is a good opportunity to spot birds, hear them chirping. Might get lucky with spotting antelopes & other animals around. we than continue our trek & end it at The World Famous Ranakpur Jain Temples, A poetry written in white marble ,the best carvings on Marble you can find anywhere. Later we check-in at The King’s Abode, a beautiful hotel with wonderful food. You can enjoy the rest of the day here by the pool side or pamper yourselves in the relaxing SPA here.